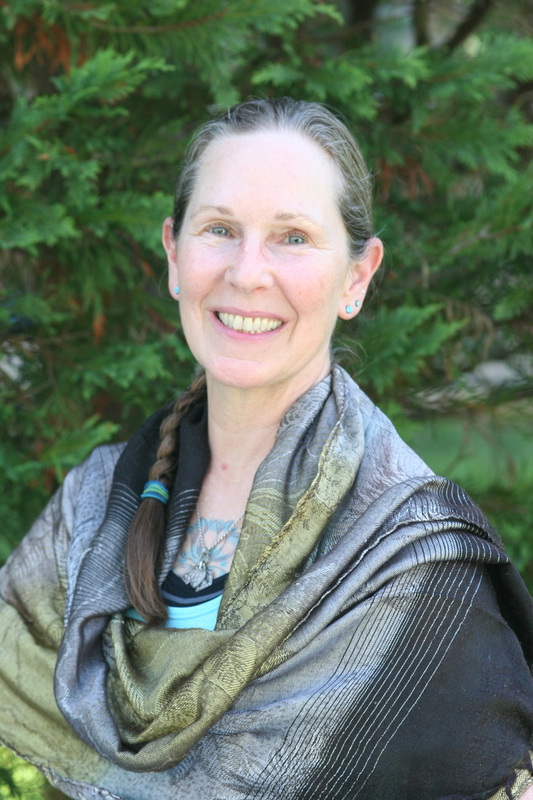 Sandra is a member of the very first cohort at Maryland University of Integrative Health (MUIH) to earn a Master of Science in Yoga Therapy and is now also one of the first to become IAYT Certified. 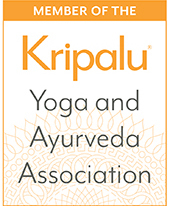 This rigorous degree program is a non-lineage based evidence-informed outcome-oriented program that trains Yoga teachers of all backgrounds how to unite the scientific evidence supporting Yoga as Therapy with desired client outcomes of pain reduction, alleviation of stress, and maintenance of healthy body, mind, and soul. This program is accredited by the Accreditation Committee of the International Association of Yoga Therapists, approved by the Maryland Higher Education Commission and by the Middle States Commission on Higher Education. This training acknowledges that diagnosis and treatment of disease conditions or physical injuries is in the scope of practice of licensed medical practitioners and not that of yoga therapists, however with the knowledge and recommendation of your medical practitioner Sandra is qualified to adapt the practices of yoga to help you manage your experiences with these conditions. Contact Sandra if you need a referral to a licensed medical professional or if you wish to connect her with your doctor or therapist. Her master's thesis project was on Yoga for Scoliosis which included a research paper on the topic, design and leading of a yoga therapy workshop series for people with scoliosis, and a case report on a mentored clinic client with scoliosis who was seen four times over the course of six months. Sandra also attended Integrated Wisdom: Yoga Therapy for Scoliosis Based on the Teachings of the Schroth Method (the European standard of physical therapy for scoliosis treatment), a weekend seminar led by Hagit Berdishevsky, MSPT, DPT, MDT and Meredith Weiss, PT, MPT, RYT, CYKT in 2015. She incorporates this knowledge into her work with individuals experiencing musculoskeletal pain of all types even in the absence of scoliosis. She is a graduate of the Kripalu School of Ayurveda, earning an Ayurvedic Yoga Specialist certificate in 2009 and the Ayurvedic Health Counselor certificate in 2010. She practices what she teaches and knows firsthand just how powerful Ayurvedic philosophy is in managing the stresses of life and work using food, herbs and spices, and Ayurvedic daily routines not only with clients but to manage her own menopausal symptoms (the impetus for attending KSA) and most recently the arthritis that set in after a serious auto accident in 2014. Her initial yoga training was primarily in the Ashtanga system of Sri K. Pattabhi Jois, studying with him during his US trips between 2000 - 2005, and with many of his senior teachers like David Swenson and with Beryl Bender Birch (who wrote the popular book Power Yoga based on the Ashtanga system). 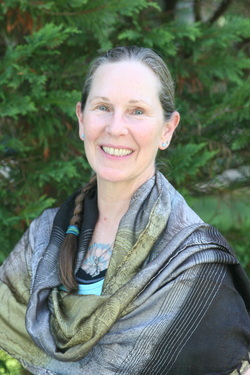 Sandra has also studied with master teachers in the Iyengar, Kripalu, and other traditions. She now studies with Scott Blossom of the Shadow Yoga School as well as with its founder Zhander Remete and director Emma Balnaves and is now authorized to teach the Shadow Yoga Warmup,. (If you are interested in learning the Prelude forms that follow, ask for a referral to an authorized teacher or visit ShadowYoga.com for a list of authorized teachers.) The insights gained from her personal practice has enabled her to educate students and clients in how to use their Yoga practice to better know themselves and their bodies to achieve balance, health, and happiness. After determining your goals for Yoga Therapy we will observe your breathing, posture, and movement patterns to see your state of balance and imbalance. We may ask you to fill out an evaluation/questionnaire so we can track your progress over time. Together we will design and you will practice a simple routine drawn from the tools of Yoga: asana (postures), pranayama (breathwork), and dhyana (meditation). You will learn to experience when things work well, when they don't, and how to do something about it in a way that honors your body's wisdom to heal itself. If you have a diagnosis from a licensed medical professional, please bring any pertinent information with you to your initial consultation and DO make sure that your doctor or physical therapist is aware of your interest in Yoga Therapy; if your licensed provider needs to contact me for more information about what I do or wishes to provide guidance as to contraindications have them email me at info@sandranichtayurvedayogatherapy.com. For best results, plan on scheduling at least four followup sessions. Learn about and practice the "sister science" to Yoga, the daily, seasonal, and life-stage shifts to diet, lifestyle, and exercise habits that help you maintain good physical and emotional health or bounce back from life's hard knocks more quickly. We may also examine your eyes, tongue, nails, and other factors that help us determine your current state of balance/imbalance to better recommend practices and lifestyle tweaks you may find helpful in achieving and maintaining good health. If you have a diagnosis from a licensed medical professional, please bring any pertinent information with you to your initial consultation and DO make sure that your doctor or physical therapist is aware of your interest in Ayurveda; if your licensed provider needs to contact me for more information about what I do or wishes to provide guidance as to contraindications have them contact me at info@sandranichtayurvedayogatherapy.com. For best results, plan on scheduling at least one followup session. ​Yes! You may combine both modalities! Book for your primary concerns and be sure to mention your interest in others. Are you a licensed medical provider interested in referring patients to Yoga Therapy? We can help you help your patients better learn self care techniques that will help you reduce their reliance on medication by improving their response to stress, manage their depth and rate of respiration, and reduce their risk of falling due to strength or coordination issues. If your patient has been discharged from physical therapy s/he could still benefit from one-to-one training with an experienced professional.